Glisten and Glow - 5 Boroughs Collection - Polish Etc. Summer has been crazy and busy with real life, so sorry for the lack of posts. But I do have a beautiful holographic collection to share with you all today. 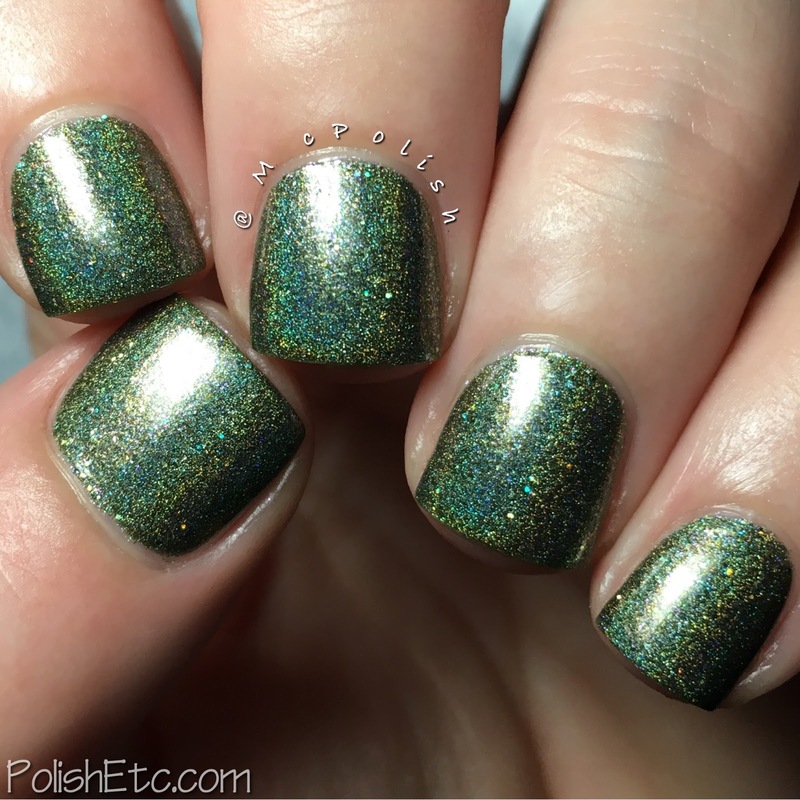 Glisten and Glow released a collection of 5 gorgeous shades for the Polish Con held this spring in NYC. Jill created a polish to represent the 5 boroughs of New York. I picked this collection up while I was at the Con myself. All of the muted tones really called to me! Hopefully, they call to you, too. Beatboxing in the Bronx - A dark olive green linear holographic with blue/pink microflakie shimmer and gold holo microglitters. This is a lovely shade of green. Not too bright but not too drab. The blue and pink microflakies really soften the look and the holo is strong. It has a very nice formula, easy to apply. I am showing you two coats with a glossy top coat here. 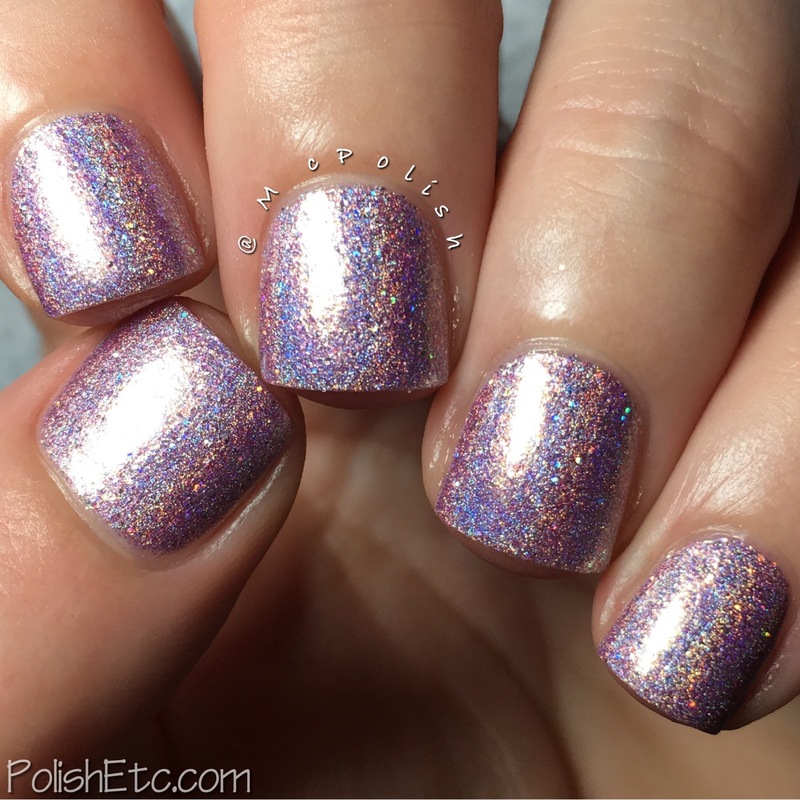 Brunch in Brooklyn - A baby pink linear holographic with golden shimmer and blue microglitters. This is a super shiny polish! It was difficult to capture descent photos of this polish because it was so reflective. Dainty and girly with lots of sparkle. It has a very nice formula as well. I am showing you two coats with a glossy top coat here. Manis in Manhattan - A deep grey toned purple linear holographic with copper shimmer and a dash of red holographic microglitter. There is not much glitter in this shade, it is mainly shimmer. But the base color is fantastic! 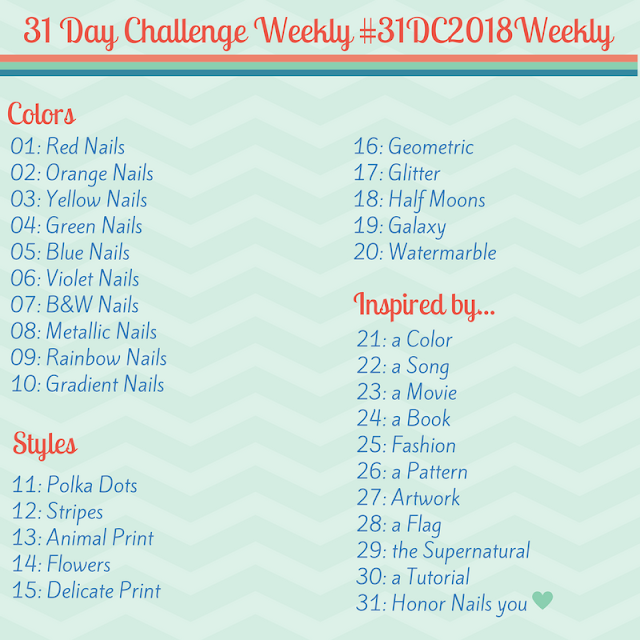 I love these dusty colors with strong holo shimmer. Perfect formula, super smooth application. Again, this is two coats with top coat. Quick Step in Queens - A deep grey linear holographic with blue and purple microflakie shimmer. This shade is the most opaque and creamy of the bunch. The holo effect is the least intense but the color and formula is superb. You could definitely get away with just one coat for this one. I am showing you two coats with top coat here. Selfies in Staten Island - A pale gold linear holographic with copper/bronze microflakie shimmer and silver holo microglitters. 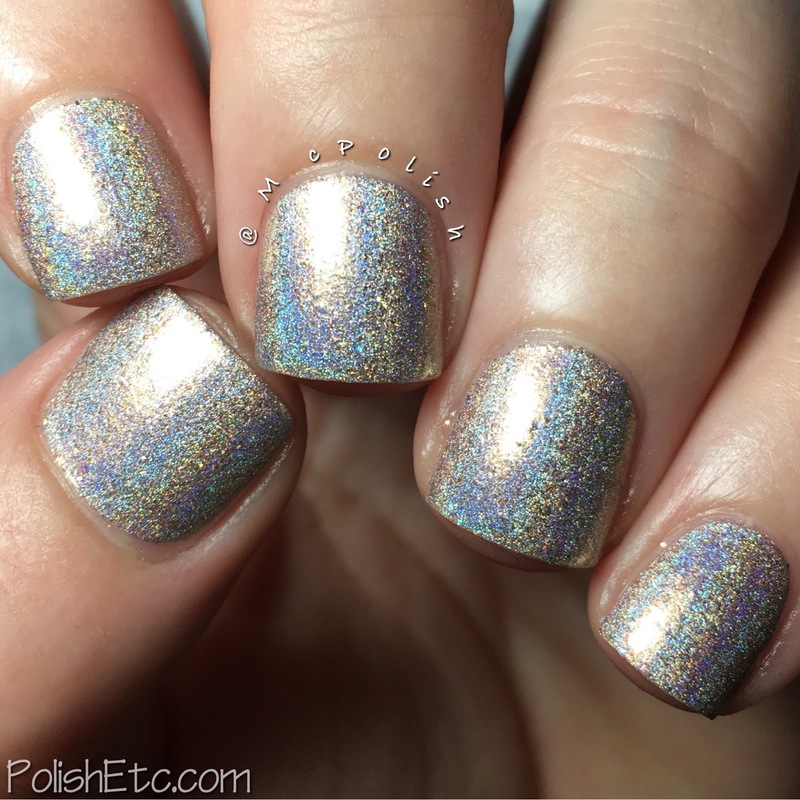 Talk about an in your face holo! This shade looks gold in some light and silver in others. The holographic effect is intense and it gives off a nice blue flame. I am showing you two coats with a glossy top coat here. The 5 Boroughs Collection is really, really nice. It is hard to pick a favorite especially since they all go so well together. Queen and Manhattan are definitely my typical go to shades but I loved them all. Glisten and Glow has this collection available on their website right now. You can get them individually for $12 each or buy the collection of 5 for $57.